Let’s talk about clubs. A place for those who like music and dancing and have an affinity to a space that dissipates their worries. For the fans of jazz of the late 50’s there was Blue Note, The fans of New Wave punk there was – CBGBS, for the fans of disco there was – Studio 54 , for the fans of house there was – The Hacienda, And for lovers of the soundsystem – Plastic People in London. Plastic people became legendary in london but it sadly closed its doors for one final night in January 2015 after two and a half decades of pushing the music of London. Its music programming was untouchable and hosted residencies by Floating Points, Four Tet, Theo Parrish, James Blake and Carl Craig. Well known as having one of the best soundsystems in London, Plastic People holds a lot of memories for a great deal of people and will be sorely missed. 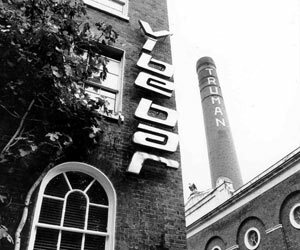 The closure follows the shutting down of numerous London clubs in recent years, most recently Cable and Vibe Bar. Sadly, all good things come to an end, it seems that this is happening more and more regularly in London. With the advent of oligarchs and foreign investment companies, we are seeing an increasing amount of London cultural institutions folding to the weight of hard cash. Plastic People on Curtain Road, East London also fell victim. Plus, here is a recording of Fourtet and Floating points recorded at Plastic people’s ‘Last Dance’ (the very last night) This recording was set up just before the start of the night and so unfortunately it distorts in places, but it’s a description of how joyfully noisy people get! The vibe in the room this night is typical of the club on any given night and this recording captures just a fraction of the spirit of a Plastic People night.